Mentoring is a significant part of the jazz traditionestablished artists have long provided a musical context where young musicians can evolve and assimilate the experience and knowledge of their mentors. Miles Davis did it throughout his career, bringing a number of significant musicians to the fore, including Wayne Shorter, Herbie Hancock, and John McLaughlin. 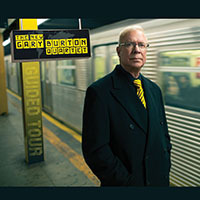 In a career spanning over forty years, vibraphonist Gary Burton has also proved himself an important mentor. And while he's helped establish artists like pianist Makoto Ozone and saxophonist Tommy Smith, the most visionary players he's found have been guitaristslike Mick Goodrick, Larry Coryell, and Pat Methenywho have gone on to varying degrees of fame but have all emerged as artists of consequence. Burton's latest guitar discovery is Julian Lagea teenager who, at the time of '04's Generations, his first recording with Burtonwas enthusing about getting his driver's license. On that disc Lage demonstrated a frighteningly mature musical mind and plenty of promise as a writer. When Burton retired from his longstanding tenure at Boston's Berklee School of Music last year and relocated to Florida, he decided it was time to assemble a new group, his first in seven years. And so, along with Lage, he found three young players26 year-old pianist Vadim Neselovskyi plus bassist Luques Curtis and drummer James Williams, both 21. 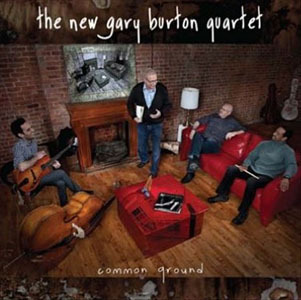 Sometimes group chemistry evolves, sometimes it just happens, and for Burton's latest release, Next Generation, he's formed a collective that, while not as esoteric as his mid-'70s ECM group with Metheny and Goodrick, already demonstrates keen intuition. Lage continues to grow in leaps and bounds. He's even more self-assured this time around, with a tone that ranges from the warmth of Jim Hall to something more tart, even a touch distorted. His lyricism and avoidance of chops-laden playing are uncharacteristic of the oft-times brashness of youth. On the closing track, his own bright and joyous "Clarity," he pulls off something new in Burton's careera guitar/vibes duet, with Lage shifting comfortably from lead voice to intuitive support. While Curtis and Williams are great finds, the other dominant voiceaside from Burton's own, manifested by a characteristic ability to find the perfect phrase, the most fitting harmonic conceitis Neselovskyi. More than just a strong pianist, he's a composer who blends form and freedom in new ways. His two compositions resemble mini-suitestaut arrangements that nevertheless provide a challenging foundation for improvisation. He also has a keen ear for reharmonization; his lightly swinging arrangement of "My Romance" is completely fresh. The changes beneath the familiar melody retain the lyricism of the original but ultimately go in a completely different direction. 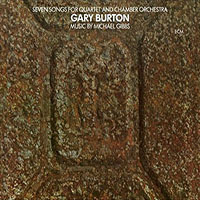 In recent years Burton's albums have been characterized by greater attention to accessibility. 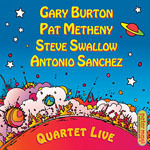 But beneath the deceptively easygoing surface lies deeper musical thought, and Burton's new group on Next Generation rivals some of his classic ensembles from years past. Track Listing: Prelude for Vibes; My Romance; 'Ques Sez; Get Up and Go; B & G; A Dance for Most of You; Walkin' In Music; Summer Band Camp; Fuga; Clarity. 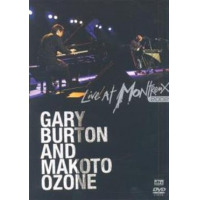 Personnel: Gary Burton: vibraphone; Julian Lage: guitar; Vadim Neselovski: piano; Luques Curtis: double-bass; James Williams: drums.